As I haven't had a chance to do a blog in a while I thought I would do a review on a product I purchased a couple of months ago, but before reviewing it straight away, I wanted to be able to play around with the product and get familiar with it before giving you an honest opinion of the product, as it is quite costly. I purchased the SX07 as it is equivalent to NC20 and NC25. 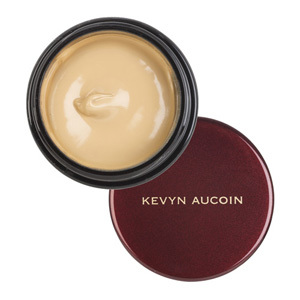 The Kevyn Aucoin Sensual Skin Enhancer (KASSE) retails at about £38 (which is about $58). Quite pricey you're thinking, so did I!! But even after having it for 2 months, my pot of goodness doesn't seem like it's budged at all..
- The KASSE is so versatile and diverse. 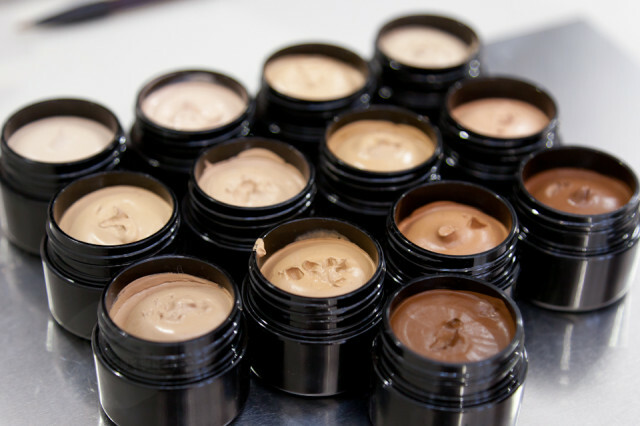 It can be used as a foundation, concealer, highlighter or an eyeshadow base/primer. - It covers everything!! Has great pigmentation, and has full coverage. - A little goes a long way - That saying was used for this product. Literally a small dip into the product, and it's more than enough, especially if you're using it for concealing, as an eyeshadow base or just for small corrections on the face. - It lasts the whole day if set properly. - I suffer from dry skin, and although the product is heavy and thick it doesn't dry me out. - When used as an eyeshadow base, your eyeshadow lasts through the whole night without budging. - The investment is worth it, as it will last you for a very long time, and you won't be running out of it any time soon. - Despite it lasting a long time and being worth the money, it is also very costly, especially for those of you who aren't looking to spend that much on a product. - It creases (especially the under eye area) if you don't set with a powder or use a finishing or setting spray.